• Revolutionary Face Slot Technology in the 3-7 iron provide increased distance control by protecting ball speed on off-center hits toward the heel & toe. • Speed Pocket Technology in the 3-7 iron provides more consistent launch conditions and ball speed on shots below the center of the face. • Two-piece welded construction for amazing feel and performance. 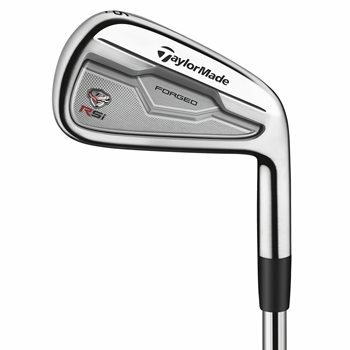 Forged carbon steel face and hosel for precise shaping and feel, precision shaped back bar forms the Speed Pocket and undercut. • Tour-proven shape with compact head size, minimal offset and thin top-line.